About this Design Don't just workout at the gym, train to be a mad man with a box. Get fit like a Time Lord, so you'll be ready to travel through the wibbly wobbly time in your TARDIS. You never know when you'll run into Daleks, Cybermen, or any other foes of the Doctor. 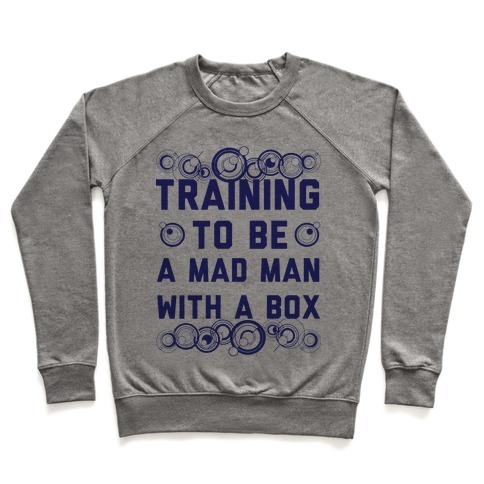 Don't just workout at the gym, train to be a mad man with a box. Get fit like a Time Lord, so you'll be ready to travel through the wibbly wobbly time in your TARDIS. You never know when you'll run into Daleks, Cybermen, or any other foes of the Doctor.